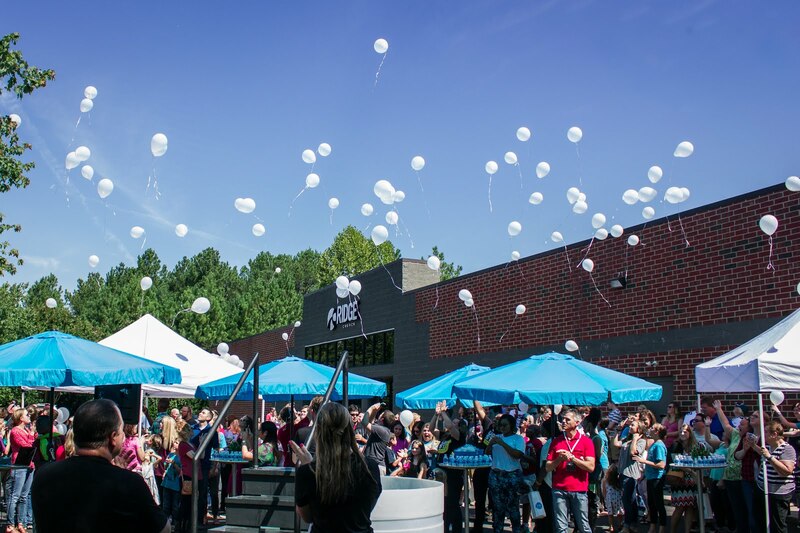 Ridge Church is a Strategic Partner of North Point Community Church. This means we share the same mission, strategy, and beliefs as NPCC, but are a separate entity. NPCC graciously provided financial support for Ridge during our start-up days, but the time has come for Ridge to stand on her own two feet. 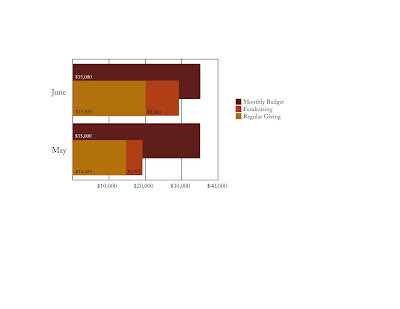 Your consistent financial contributions enable us to continue creating these relevant environments. Even in the middle of the summer months, which are typically the lowest giving months for churches, many of you have stepped up for Ridge Church with amazing generosity...and we are so grateful! As a result we are on our way to complete financial independence as a church but won't cross that line without your continued support and generosity. I will continue updates on our progress along the way. Go HERE to sign up for E-Give today and support what God is doing through Ridge Church. Thanks! We are doing our first family birthday celebration at Ridge...and no, it isn't our annual celebration of all the birthdays in our church! It is much more significant, excitin g and purposeful than that. 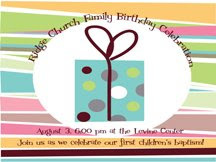 August 3rd, 6:00 p.m. at the Levine Center will be our first Family Birthday Celebration. Children who have given their life to Christ will share their stories and be baptized. Following the worship service we will throw a party so that everyone can celebrate together their new life and relationship to Jesus. This is an "all skate" and a night you don't want to miss. The Ridge band will be doing some amazing stuff as usual. Hope to see you there. NOTE for Parents: Waumba Land (our pre-school ministry) will go on as usual, and our Upstreet age children (Kindergarten- 5th) will be joining the adult worship service for this special celebration. I'm confident that this was a "most embarrassing moment" for our dog Samson. The girls decided to dress him up. Josie's bed time prayers included this line "...and thank you that Samson could have a Halloween outfit." Does he look thankful to you? Erwin McManus, a pastor, entrepreneur, film maker, and all around innovator from L.A. has been a significant challenge to my thinking and passion for many years now. I'm so grateful for his perspective and his courage. 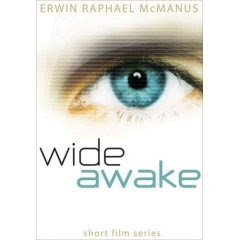 He has a new book out called "Wide Awake" that pursues the idea of unleashing our dreams. "The Christian community has some of the best communicators in the world. Our problem is that we are not talking about anything that people tend to care about." I REFUSE THAT LEGACY! Our message is simply too important to be relegated to irrelevance. July 20th will be a milestone night for Ridge Church. We will be celebrating our first adult baptism and we can't wait. We have a phenomenal night planned. The ridge band will be leading us in an amazing night of worship while Upstreet and Waumba Land will still be in full swing for the children. We will see you there. 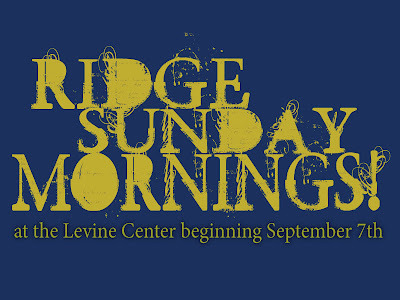 Well, we are finally moving to Sunday mornings! Honestly it's kind of surreal. Ridge Church is "29 services young." Interestingly in 29 services we have never met more than three times in a row, and we have never had a service on Sunday morning. SO this is a big deal and we are pretty stoked. We claimed the unofficial title as "the most difficult church in Charlotte to attend" ...it's a coveted title as you can imagine:-) September 7th is the big day. So start inviting now. Here are a few pictures from our recent BBQ. We didn't know what to expect being the first time that we had done this, but it ended up being a huge success---even with no promotion and a ton of rain! It was a full house We set up two Nintendo WII's on the big screens and showed a movie on the HUGE center screen. Both went off really well. Check out the BBQ and ribs spread...and that pitcher...YES it's BBQ sauce--so you could just pour it on! And last but not least...two of our stellar volunteers at Ridge Church enjoying the night. Kristen and Lyndsey along with so many of our incredible volunteers were finally able just to attend something at Ridge without working for hours to make it all happen. THANKS to all of our awesome volunteers. We can't do this without you! In our second installment of "Erased" called What's next? I am talking about baptism and how God responds to our search for Him. During the process I came across this. Thought some of you would enjoy it. It seems like summer is moving really fast--probably too fast if you work in the school system or simlar job that allows you to have the summers off! Thunder, lightni ng and crazy wind didn't slow down the Ridge Church BBQ. We moved everything inside and the two WII's on the side big screens and movie on the HUGE Center screen were a hit. BBQ and ribs were unbelievable as well. It was a completely packed house, and turned out to be a great night all the way around inspite of the weather. Thanks for those of you that worked like crazy to prepare everything. This Sunday night is the second installment in our series called "Erased". The mo re I interact with people in this journey of life the more obvious it becomes that we all have things in our lives that we would love to "ERASE" given the chance...decisions, relationships, habits etc. In part one we talked about how God views our past mistakes and current lifestyles. When we embrace this truthe it changes everything. This week we are talking about "What's next?". If a person wrestles through the questions, fears, and pre-conceived ideas about Jesus and finally places their trust in Jesus for salvation what do they do next? Come worship with us as we answer this critical life question. AND, trust me you won't want to miss the grand finale of this series on JULY 20th! It will be a milestone night in the life of Ridge Church.